Most female saints familiar to Catholics today belonged to religious orders and lived long ago. But a number of lesser-known women of more recent times have also achieved exemplary holiness as lay Christians who made an impact on the world. They serve as role models for women today who struggle with the difficul-ties of everyday life in secular surroundings. 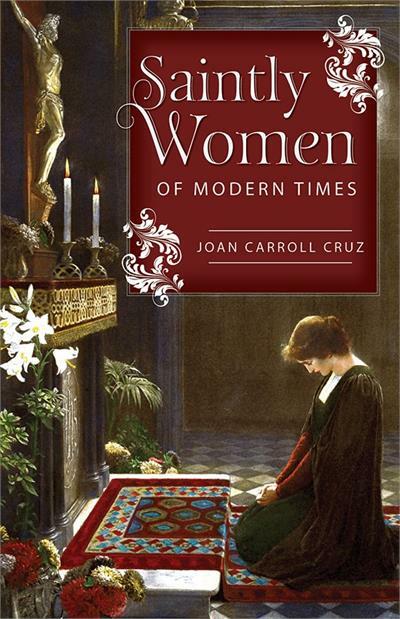 In Saintly Women of Modern Times, best-selling author Joan Carroll Cruz presents portraits of seventy-five Catholic women from the past century whose extraordinary holiness set them on the path to sainthood. Their circumstances varied widely: Some were poor farm girls, rag-pickers, or factory workers. Others grew up in luxury. Still others were middle-class stay-at-home housewives and mothers. They were poets and musicians, professors and political activists, doctors and nurses, teachers and social workers. Some seemed naturally pious, while others struggled more visibly to live a holy life. But all of them lived and died for the love of God and others. Women today—and men as well—will find inspiration, comfort, and companionship in these Saintly Women of Modern Times. Through their life stories, Cruz wonderfully shows that, whatever your state in life, you can become a saint.